What is HR Really Worried About? Have you noticed this person in the office? Sweaty palms? Clenched teeth? A slight twitch in the eyes? Incoherent mumbling about Essential Health Benefits and employee retention? That’s your Human Resource Professional. Go give them a hug! Human Resource is a department that wears many hats and is expected to be experts in a variety of different areas. HR professionals must understand the mission and vision of the company. They must take that vision and turn it into action by acting as a strategic partner and guiding the company to the next level. But no pressure, right? Below are some examples of what HR is REALLY worried about. One of the biggest challenges HR professionals face is attracting and retaining top talent. All organizations want the best of the best to work for them. In many companies, it is the responsibility of the personnel in HR to find this top talent, and possibly more importantly, find a way to retain that talent. In a world full of change, compliance in terms of employment is no exception. It is the responsibility of the HR department to stay abreast of employment law, benefits, compensation, employee relations, background checks, and much more. HR is responsible for many areas that could cause the company to lose a lot of money if handled incorrectly; such as, FMLA leave management, The Affordable Care Act, payroll and benefits administration, employee discipline and off-boarding, just to name a few. It is important, especially in larger organizations, that HR acts as a support system to advise and counsel managers and supervisors on how to handle difficult situations without putting the organization in jeopardy for a lawsuit. As we continue to navigate through the twenty-first century, the corporate culture continues to change. As generations change so should corporate culture. HR departments are charged with the difficult task of creating a culture that appeals to employees. This assists in lowering turnover rates and helping to retain that top talent we talked about. HR has become a strategic department within the organization. One of the biggest challenges for HR is being the “middleman” or “liaison” between corporate executives and the employees. Employees often do not understand why a change has been made or how it can benefit them. This is where HR comes in. HR is often the first to hear about any resistance. It is important for HR to be transparent and communicate to employees why leadership has made a change and how that change can benefit them individually. Cheerleading a new policy or procedure can often have a very positive effect on the employees who are questioning the decision, whether internally or externally. This point is self-explanatory but often is mishandled by organizations. It is important that all employees in organizations are treated fairly and equally. This is where company policy and procedure come into play and following the policies the same way every time the situation occurs. Even if an employee does not agree with a policy, at the very least they can rest assured they are being treated fairly and are not subject to different rules than other employees. This can contribute to several of the points mentioned earlier, positive work culture, compliance, and retaining top talent. We have touched on a few items that HR professionals worry about and work with on a daily basis. 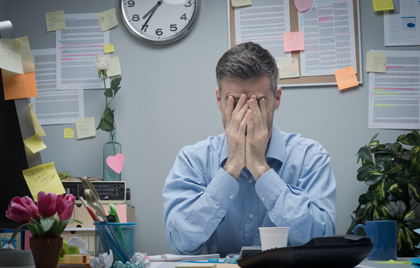 Recent surveys have shown that 46% of HR professionals have reported increase stress in their jobs over the past 18 months (What’s Still Keeping HR Up?). Fortunately, HR professionals don’t have to go it alone. Developing and maintaining partnerships with highly qualified organizations can often mean the difference between sinking and soaring. Justifacts can help with your background checks and assist you by providing the quality information required to place the right people in the right positions.